It is difficult to believe that 2014 is winding down. It has been quite a year for us and we expect 2015 to be just as exciting and rewarding. As we finish up a few year-end projects we wanted to share just a couple of items with you. The jay bird Martin has been working on for several months is now cast and looking very good. It will finally be completed within the week and, once photographed, we can share the final piece. The big decision to be made is the angle of the wing that we will be using to attach it to the wall or mount it to a door. There needs to be enough clearance behind the wing to allow it to be grasped as a door pull while maintaining the appearance of a bird in flight. We also need to decide how dark to patina the bird. 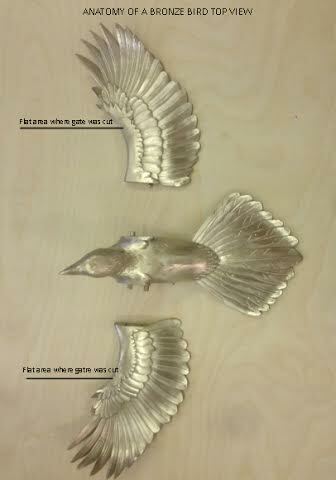 We will be doing an oil rubbed finish but feel the veins and crevices in the feathers need to be darker for definition. To refresh your memory on the process of designing and casting this awesome hardware, please check out past blog posts here and here. Stay tuned for the final reveal. 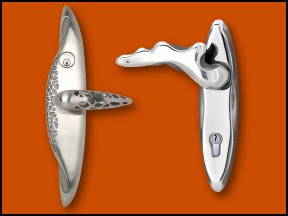 You can view our entire collection of custom architectural hardware by visiting our site at http://www.martin pierce.com.